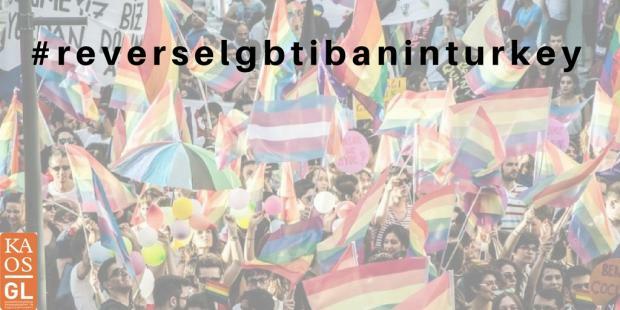 Two LGBTI organizations in Ankara, Kaos GL and Pink Life’s separate court appeals to halt the execution of Ankara Governorship’s indefinite ban on LGBTI events were rejected by the Administration Court. Ankara 4th Administration Court rejected Kaos GL’s appeal to halt the execution, and they indicated in the grounds of the rejection that “the ban decision will not cause unrecoverable or impossible results, and the decision is not unlawful”. Similarly, Ankara 13th Administration Court rejected Pink Life’s appeal with the same grounds. Ankara Governorhip reminded the 15th article of the Constitution on “stopping the use of fundamental rights and freedoms” in their plead given subsequent to Administration Court’s request. By addressing the state of emergency situation, Governorship defended their decision that the ban does not violate international contracts and there was no violation of "core rights”. “The decision is legal” they stated. On the other hand, the associations demanded that the ban announced on the grounds of “social sensitivites and sensibilities”, “protection of public health and values” and “protection of the rights and freedoms of others” must be reversed, and due to the fact that the ban would cause irrecoverable results execution of the decision must be stopped immediately. “Decision of halting the execution must be given in the case that both the ban is obviously illegal and it would cause unrecoverable results. It is not a judicial discretion, but a legal obligation. While rejecting the appeal, the court implies two things: The governorship has authority to ban the events forever, and the compensation of the results is possible for future. However, how it would be possible to compensate the events that could not be held? For example, our event planned to be held on 8th of March International Women’s Day in 2018 would not be taken place, so what will be the alternative of this?